Ron Johnson turned 52 years old (hoo hoo!) this past May 15th. He has 2 wonderful children Ariel and Andrew, who live with their mother Linda. Ron was raised in a Navy family and hopped around the country, living in such diverse locations as California, Florida, Tennessee, New England, Guam and Hawaii. After graduating from Forrest High School in Jacksonville he more or less followed in his father's footsteps and joined the Navy, serving as a corpsman in some of the bigger Naval Hospitals. He married in the service and has a son from that marriage, Eric, currently living near Pensacola, Florida; He and his lovely wife Yazmin recently had their first child, a beautiful baby girl, Ron's first grandbaby! Both of Ron's parents loved music and he grew up with many musical influences. From his father, Ron's love of country and bluegrass firmly secured itself with the likes of Bill Monroe and the many C&W artists who frequented the Grand Ol' Opry during that period. Johnny Horton, Marty Robbins, Buck Owens and Johnny Cash and others were particularly influential. Ron's mom prefered the pop side of things including whatever was on the radio during that time. Mom also was a fan of San Diego's Kingston Trio who exposed Ron to some of the more traditional acts including Pete Seeger and The Weavers, Leadbelly and Woody Guthrie. Of course acts like Elvis Presley and the Everly Brothers made a nice middle ground in the early Johnson household, which by the way, included Ron's younger brother Jim and younger sister Rhonda. But in 1963, like the rest of the modern world, it was the Beatles that finally got ten year old Ron's rapt attention. The Generation Gap was open wide.."
Ron began to teach himself guitar after a few failed attempts at lessons and he played in a few garage bands throughout his High School Years. He also began performing solo for the first time, his first performance in a school talent show in 1969 with a rendition of Bobby Hebb's "Sunny." "I was pretty scared," Ron remembers, "but I do recall I liked it, a lot." Ron graduated from High School in 1971 and attended a year or two of college before joining the Navy, which started Ron's medical training. Eventually Ron went on to attend Florida State University in Tallahassee and worked for over fifteen years in primarily the psychiatric field as a Licensed Clinical Social Worker, including doing private practice psychotherapy as well as working full-time on an psychiatric ward in a major Jacksonville hospital. "I'm used to working with some fairly strange people," Ron admits, "and some of the patients are a little odd, too!" But listening to and playing music were always a major part of Ron's life. "Besides the Beatles, I loved Bob Dylan and that whole folk scene as well as the more popular groups at the time, the Stones, the Lovin' Spoonful, the Dead, I listened to all the pop rock groups. I really loved CCR and eventually the Allman Brothers. When I was fifteen I went to see the Monkees, in Jacksonville; I think my Uncle Steve got free tickets or something. Anyway, the opening act was a band I had never heard of before then, the Jimi Hendrix Experience. I heard a little more about them after that, though." When Ron got out of the Navy in Memphis he returned to college and attended Memphis State University. While living in Memphis he soaked up some of the Mississippi delta blues influences. "I played with Furry Lewis several times at his house although he was fairly old by then. He could only play three, maybe four songs before the Ten High Whiskey began to take it's affect, but oh, some of the stories he told..." Ron continued to experiment with his own bands and while at FSU played in a reggae-influenced rock band called Incognito. "Bob Marley turned out to be a pretty big influence on me, too. His whole political and social awareness hit it right on the head." Ron recorded a novelty record for his favorite football team in 1987. "The music was Sam & Dave's 'Soul Man' and we re-wrote the lyrics to become 'I'm a 'Noles Fan" (short for the FSU Seminoles)." The 45 rpm record, backed by a spirited version of Freddie Cannon's "Tallahassee Lassie" sold about 5,000 copies in that area and is still played today during the heighth of football season. 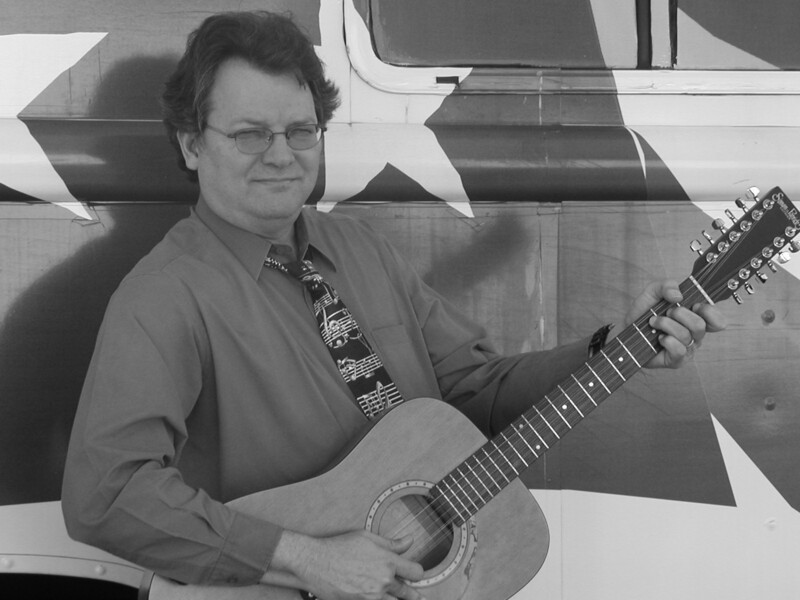 In Jacksonville, while working full time as a therapist and social worker, Ron played throughout Northeast Florida with bands that generally centerd around his songwriting. "The Hank Marlee Band" and later "419" rocked many a late night club in the River City and each band recorded a CD reflecting their rock styles. "Hank Marlee was my hard rock, punk period," Ron admits, "and the music is definately a harder edge. 419 became more of a Tom Petty, Byrds type feel but we were all over the place, including a good amount of reggae styled rock, a la the Police." The influences of alcohol and drug use by band members eventually split these projects up and once again, Ron found himself back at square one. Tired of the band scene and anxious to see if he had what it takes to go solo, Ron struck out on his own. "I more or less returned to my roots," he acknowledged. "The 'O Brother, Where Art Thou?' Soundtrack was like a slap in the face. I knew I wanted to go back to a more basic sound and it was time." Returning to the studio solo this time, Ron allowed his John Prine, Bob Dylan and Loudon Wainwright influences to surface. "I even put on a talking blues song, ("St. Johns River Talking Blues"), a nod to Woody Guthrie. I was so pleased when I finally heard the finished results." Bettina Makley and the yodelin' Makley family introduced him to the Florida Folk Scene in 2003. These festivals at White Springs, Barberville, Ft. Lauderdale, and Dade City, etc. introduced Ron to a whole new venue and indeed, a family of likened souls. Ron plans to use the new CD to explore venues and areas he's neglected. "I'd love to become a regular at some of the Florida Festivals as well as some of the listening rooms and even do some of the home concerts. I'm really excited about the future."